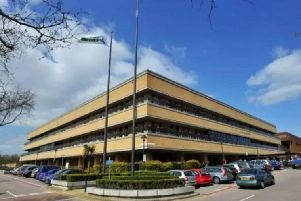 Nomination forms for borough and parish council elections have to be lodged with Milton Keynes Council by no later than 4pm on Wednesday, April 3. The borough council has 57 seats for councillors, all of whom serve for terms of four years. But elections are staggered, with one-third of the seats up for grabs in three of those years, the fourth year being fallow. Residents do not have to be members of political parties to stand for election to parish or borough councils, but those parties have the volunteers and the organisation to identify supporters and speak to voters. MK Council is currently what is known as ‘hung’ where no one political party overall control. Even though the Conservatives are the largest party with 23 seats, they are outvoted by an ‘enhanced partnership’ between Labour’s 21 seats and the Lib Dems’ 12. MK Council only has one Independent councillor, Andy Dransfield, but he was elected as a Conservative. His Loughton and Shenley ward seat is one of 19 that are up for grabs on the May 2 polling day. Another long-serving councillor, Labour’s former council leader, Kevin Wilson is also stepping down in Woughton and Fishermead because of ill health. The seats of both the main party leaders, Labour’s Pete Marland, and official opposition leader, Conservative Alex Walker, are also being contested this time around. Elections will also be held on May 2 for scores of unpaid seats on 25 of the borough’s 48 parish councils. Nomination forms are available from the Civic Offices, 1 Saxon Gate East, Milton Keynes, MK9 3EJ or online https://www.milton-keynes.gov.uk/your-council-and-elections/elections-and-register-to-vote/elections/borough-council-election-2-may-2019#What%20elections%20are%20taking%20place?